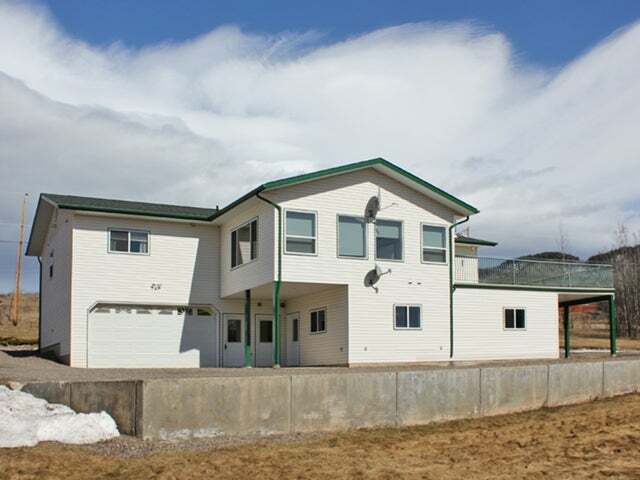 Enjoy this spacious 3 bdrm, 3 bath home on 2 acres. Every room in this house has lots of space and there are many different ways to configure your layout. The kitchen is located in the center of house and is open to 2 separate living spaces and a solarium. The large master bedroom has a 4 piece en-suite with jetted tub. Store up to two vehicles in the large double garage, while still having an attached 16' x 32' workshop (wired w/220V). There's a large wrap around deck with access from the living room and solarium. Basement ceiling height is 9 ft high.